Books by Dr. John Grey. Each provides a comprehensive package of relationship advice that can help you experience the love and happiness you truly want. Couples who stay happy have the tools to keep love and good feelings alive, even through the tests of time. They know how to work through the inevitable challenges that all couples encounter — and do so in a way that strengthens loving connection. To have lasting satisfaction, you need to know how to keep love strong and resolve your differences. 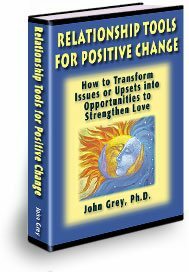 Get immediate relationship help from an entertaining and informative book that gives you practical tools to overcome problems and issues, heal upset feelings, communicate and get positive results, and maximize shared happiness and love. This is an interactive system for relationship advice. It’s almost like getting live coaching! It’s always on tap to give you relationship help — whenever you need advice, have a question, or want to resolve an issue or problem in love. 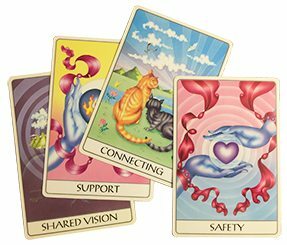 This self-help system stands ready to assist you to overcome challenges in love. It will give you new perspective on whatever matter you want to explore — a perspective that expands your options to have the loving relationship you truly want. Lasting happiness depends on a couple’s capacity to repair the inevitable rifts that come up in relationship. 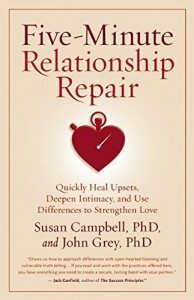 Based on the latest research, this relationship help book shows you how, step-by-step, to engage in effective, reparative communication. You will learn how to express yourself constructively, truly resolve problems, and get your core needs met. Following its guidance, you can turn any difference into an opportunity to build more love and trust. In its pages you will discover the language of lasting love, where you and your partner speak and act in ways that foster ongoing happiness and thriving intimacy.